Movie Lovers Belgrade presents our Cinco de Mayo Film Celebracion! Three great films shown in our Tiny Theater celebrating Mexican culture, celebrities, and filmmakers. Artist and teacher Dayna Bergin will lead art projects from 3:15-4:15 pm highlighting Mexican art and craft. Light snacks and chocolates from local establishments served at 7pm. 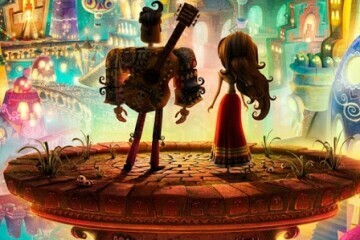 1:30 pm · 'Book of Life' (PG) Directed by Mexican animator Jorge R. Gutierrez, this animation film is celebrated as an authentic love letter to one of Mexico's most iconic celebrations, dia de los Muertos (Day of the Dead).